Chien-Huang Lin 、Su-Hui Kuo(2011), "How Do You Evaluate Products? The Moderating Effects of Scale Form", World Business, (Thailand, ,Bangkok). Chien-Huang Lin、Hui-Hsi Hung、 Yi-Hsin Li(2011), "Are You Happier When Making Predictions with Medium Uncertainty? How About with Confidence or with Friends", Asia- Pacific Business Research Conference, (Malaysia,Kuala Lumpur). Lin, Chien-Huang, Shin-Chieh Chuang, and Chaang-Yung Kung(2005), "The Presence of Reference Price: How Value Can Appear Convergent to Buyers and Sellers", Association For Consumer Research 2005 North American Conference, (USA,Texas). Lin,Chien-Huang, Ying-Ching Lin(2005), "The asymmetrical process of regret responses following positive and negative outcomes", Consumer Personality & Research Conference, (Croatia,Dubrovnik). Lin, Chien-Huang and Hung-Ming Lin(2005), "What price do you ask for the ´extra one´? : A social value orientations perspective", Consumer Personality & Research Conference, (Croatia,Dubrovnik). Lin, Chien-Huang and Wen-Hsien Huang(2004), "The Influence of Postpurchase Consumer Affects on Repurchase Intentions", Association For Consumer Research 2004 Asia Pacific Conference, (South Korea,Seoul). Lin, Chien-Huang, Ying-Ching Lin and Priya Raghubir(2003), "Feeling Better or Staying Miserable: Why Self-Positivity? ", in the Special Session: It could Happen to Me: Risk Estimates and Positivity/Negativity Bias", Association For Consumer Research 2003 North American Conference, (Canada,Toronto). Lin,Chien-Huang and Ying-Ching Lin(2002), "It could Happen to Me: The effects of Reference Points and Task Controllability on Self-positivity Bias", Hawaii International Conference on Business,, ( USA,Hawaii). Lin,Chien-Huang(2002), "On the Effect of Service Failure and Failure Redeem on Customers’ Satisfaction,", The Eighth International Research Symposium on Service Quality, ( Canada,British Columbia). Lin,Chien-Huang and Ying-Ching Lin(2002), "I am the Lucky One: the Study of Self-Positivity Bias", Marketing Communication Strategies in a Changing Global Environment, (China,Hong Kong). Lin,Chien-Huang(2000), "The Relationships Among Service Attributes, Perceived Risk, and Information-Searching Strategies", The Seventh Symposium on Quality in Services, (Sweden,Karlstad). Lin, Chien-Huang and Jia-Jing Tsai (1999), "The Moderators of the effectiveness of fear appeal level", Asia Pacific DSI Meeting, (China., Shanghai). Lin,Chien-Huang and Jia-Jing Tsai(1999), "The Streams of Advertising Research", Fifth International Conference of the Decision Science Institute, (Athens,Greece). Chueh, Ting-Wu and Chien-Huang Lin(1999), "The Co-citation Analysis Among Selected Business Journals on Core Competencies", Twenty-Eighth Annual Meeting of the Western Decision Science Institute, (Mexico,Puerto Vallarta). Lin,Chien-Huang and Jia-Jing Tsai(1999), "The Communication Among Selected Advertising Journals", Twenty-Eighth Annual Meeting of the Western Decision Science Institute, (Mexico,Puerto Vallarta). Lin,Chien-Huang(1998), "The Role of Country-of-Origin in Missing Information Inference", 5th Recent Advances in Retailing & Services Science Conference, (Italy,Baveno). Lin,Chien-Huang (1997), "The Effect of Price Frames and Campaign Frames on Total Transaction Value, ", Fifteenth AoM/IAoM Annual International Conference, Montreal, (台灣,台北). 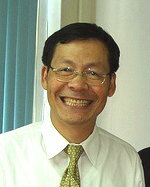 Lin,Chien-Huang(1997), "Preference Over Outcome Sequences: The Anticipation Principle", Twenty-Sixth Annual Meeting of the Western Decision Science Institute, (USA, Hawaii). Lin,Chien-Huang (1996), "On the Moderators of Country-of-Origin,", Fourth Annual Conference on Global Business Environment and Strategy, (Canada,Quebec). (1995), "", Symposium title, (Venue). Lin,Chien-Huang(1995), "An Empirical Test of Ethical Decision Models in Organization ,", Hitotsubashi-Organization Science Conference, (Japan, Tokyo). (1994), "", Symposium title, (Venue). (1992), "", Symposium title, (Venue). Lin,Chien-Huang(1992), "A Cross-Cultural Comparison of the Usage and Effectiveness of Different Project Structures", Fifth International Conference on Comparative Management,, (,). (1991), "", Symposium title, (Venue).